The Tengu School of Taiko is a teaching project run by Jared Hardwick, a founding member of Kaminari UK Taiko Drummers. His passion for Taiko led Jared to start the school with an aim to provide access to this exciting Japanese performing art to adults and children alike, to experience something different, fun and enriching. 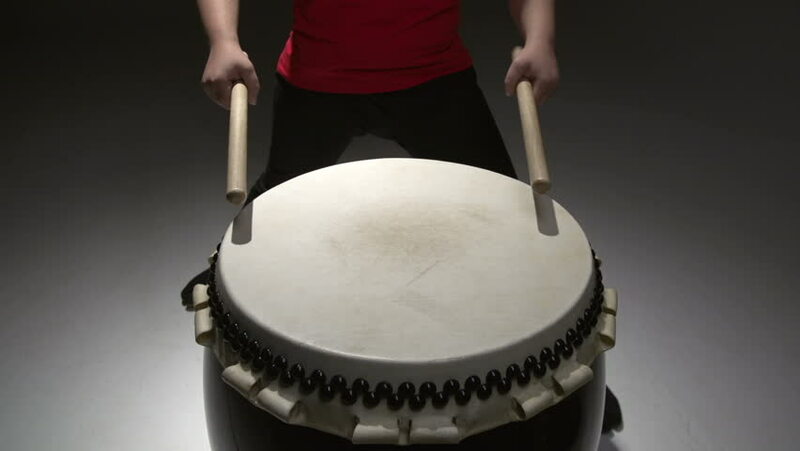 Since starting Taiko in 2007, Jared has gained substantial experience in performing, as well as teaching and leading classes and workshops both in schools and with adults. During his training, he has traveled to Japan to train with Yoshikazu Fujimoto of world renowned Japanese Taiko group 'Kodo', and has also been taught by Liz Walters of Tamashii Daiko, Miyuki Williams of Mugenkyo, Tomida Kazuaki and Shogo Yoshi (formerly of Kodo), Masashi Itohara of Oedo Sukeroku Taiko, Akemi Jige of Hono-O-Daiko, Tiffany Tamarabuchi and many more. He is currently teaching regular Taiko classes and workshops for both adults and in schools as an extra-curricular activity. OR JUST FOR FUN WITH FRIENDS. Our ever popular lessons in York continue with a fresh 6 week course from Friday 5th April - Friday 10th May. We have currently moved venue for our Monday evening classes to Norton College. starting on Wednesday 13th March 7pm - 8.30pm, and continuing Wednesdays thereafter. Please make sure you book early to secure your place! A great way for the kids to have fun and burn off excess energy! We are happy to offer 2 workshops for kids on Thursday 30th May 2019. Full details on the workshops page HERE. and start with a FREE beginners workshop at Pickering Library on 19/1/2019. We are also holding a full day workshop at Helmsley Arts Centre, York on Jan 27th 2019. Booking is required for all workshops. Full details are on the workshops page HERE. After a fantastic day of performances at the Fulford Show and Black Bull in York, we made it into an article for the York Press. Tengu School of Taiko hits the front page of the York Press! the York press published a great article.